If you want something more than just an everyday luxury sedan, then the BMW M3 might satisfy your urge for speed. Read on to know why. BMW is known for driving pleasure and the BMW 3-series is a car that's known for its practicality as well. But what if you wanted something more from it? 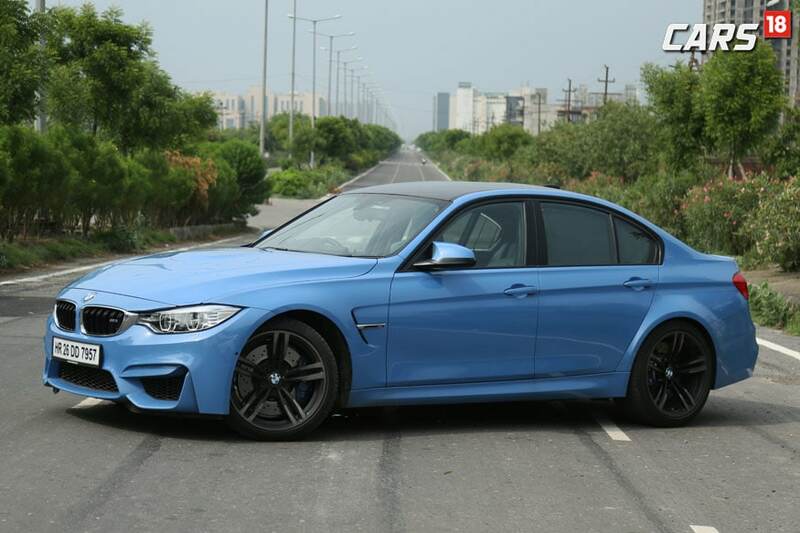 BMW in India offers a steroid version of the 3-series as well, that just called the BMW M3. Now the M3 is a car that's known by many who've played the game Need for Speed, and when it came to us for a road test review, we were just in the awe of it. But does this car do justice when it comes to the Indian roads? And is it that everyday sports sedan that you were looking for? We find out in our review. Low-slung and broad-set, the new BMW M3 Sedan has a finely balanced stance on the road. There is a large air intake and Air Curtains at the front end, exposed carbon-fibre-reinforced plastic (CFRP) and aluminium body components, and the diffuser at the muscular rear end do not merely serve the purpose of beautiful design but also fulfil functional roles in terms of aerodynamics, cooling and weight saving. BMW M3 Sedan also gets CFRP roof for the first time. On the outgoing models, the CFRP roof was confined to the Coupe version. Now, for the first time, the four-door BMW M3 gets this functional feature as well. The CFRP roof brings weight savings of five kilograms in the case of the BMW M3 Sedan and lowers the vehicle’s centre of gravity, which has a positive impact on driving dynamics. 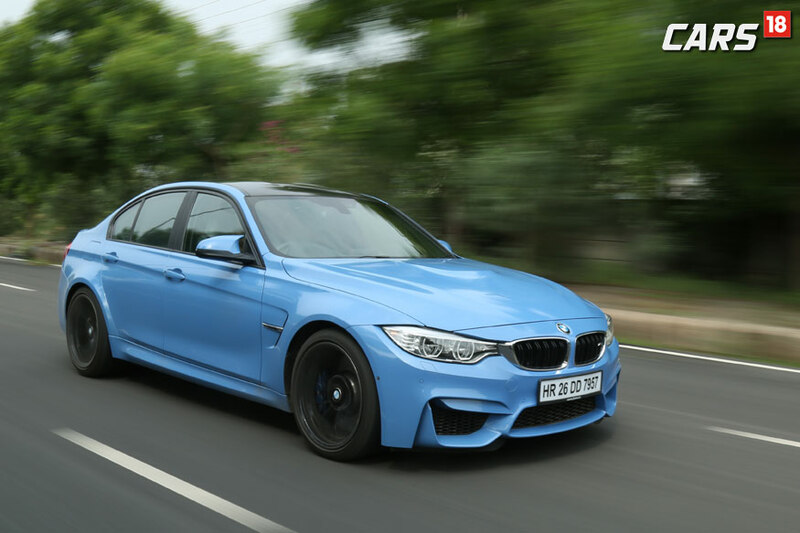 Made from aluminium rather than conventional steel, the front side walls and the bonnet make an important contribution to the M3's lightweight design concept, while at the same time improving axle load distribution. At first glance, the BMW M3 might look as a regular BMW 3-Series, but the difference really lies in the tiny details. And yes, that colour makes it stand out of the crowd at any time of the day. There are also Adaptive LED headlights with four LED DRL light rings and accent lights on this car. Add to that the huge 19-inch wheels, that gives it a feel of a low rider and yes, it does make the ground clearance a bit too tight for Indian road conditions. The BMW M3 comes with a petrol motor and a petrol motor only in India. The inline 6 cylinder petrol engine produces one of the best music that you'll hear from a performance car in India. It also delivers a power output of 431 hp, that's almost double of what you get with a regular 3-series. 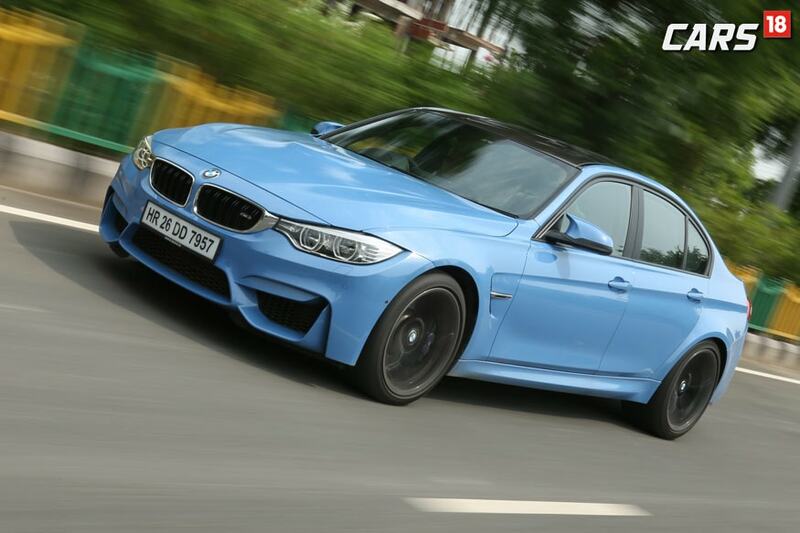 The maximum torque that the BMW M3 delivers is 550 nm, which is more than enough to pull a small train. Combine all this and the car can accelerate from 0-100 km/h in under 5 seconds. The M double-clutch transmission with Drivelogic was just wow for us and made us wonder why don't all cars come with this transmission. The noise that this engine makes is mesmerising to any petrol head and yes it guarantees to make heads turn on the road and take notice of what you are driving. The driving dynamics for the M3 are as good as it can get on an M-badge BMW. It's in fact very minimalistic when it comes to luxury equipment but high on driving pleasure. 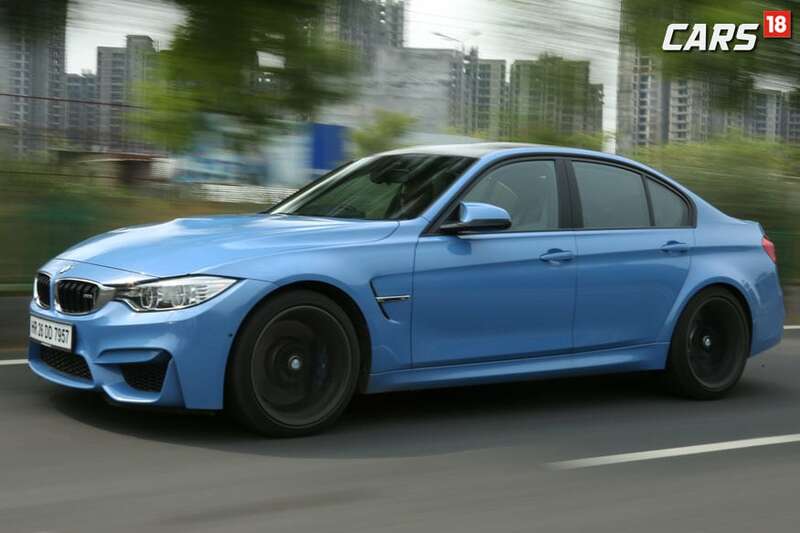 The M3 also comes with Adaptive M suspension that is adjustable in "Comfort, Sport, Sport Plus" modes on this car. And for those who've been waiting for us to tell you about the fuel efficiency, well let's just say if you care about that, this car is not for you. Among the other components that add fresh polish to the dynamic repertoire of the BMW M3 Sedan are the hollow lightweight output shafts of the rear differential and the Active M Differential, which uses an electronically controlled multi-plate limited-slip differential to optimise traction and directional stability. This makes this rear wheel drive sports sedan much more fun and safe to drive. This is a car that's meant for short runs, can be used as an everyday car as well. It's a weekend racer if you have a racetrack near your home and whenever you are feeling low, all you need to do is half-press the accelerator pedal for just 30 seconds to get a smile back on your face. That's what the magic of a BMW M3 is for you. The BMW M3 is a car that when compared to its luxurious siblings might lose out in terms of equipment, but having that said, there is plenty that this one offers as well. For starters it comes with an automatic air conditioning 2- zone with extended contents with active carbon microfilter, there is also an interior mirror with automatic anti-dazzle function. You also get ambient lights with mood lights a multifunction M leather steering wheel with gear shift paddles, M Sport bucket seats for driver and passenger with illuminated M logo, BMW Individual headliner anthracite, Roller sunblind for rear side windows, mechanical roller sun blinds for rear window, electrical seat adjustment electrical driver and passenger with memory function for driver, seat Lumbar support electric for driver and front passenger, seat backrest width adjustment and even a Smokers package (Don't Smoke while driving). That's still a lot of inside equipment for you. What you might miss is a decent legroom in the rear seats of the BMW M3. Otherwise, the fit and finish is as German as it can get on the BMW M3. And that's not all, you also get BMW Apps, Bluetooth with handsfree and USB connectivity and audio streaming. There is also an iDrive Touch Controller with 22.35 cm colour display with 1280 x 480 pixels resolution, DVD drive and integrated hard drive for maps and audio files and a navigation system Professional with 3D maps. The sound system is by Harman Kardon that produces 600 Watts comes with 9channels and 16 loudspeakers. For convenience you get Park Distance Control (PDC), front and rear, a rear view camera, BMW Head-Up Display with M views that show's M-specific view for engine revolutions, Shift Light, speed, gear indicator, and even your music playlist. There are also two interior trims that you can choose from, one is Blue Shadow with Highlight trim finishers of Black high-gloss and the other is an interior trim finishers Carbon Fibre with Highlight trim finishers as Black Chrome. For safety, the BMW M3 gets Airbags for driver and front passenger, Knee Airbag, Head airbags front and rear, Side airbags for driver and front passenger. There is also an Anti-lock Braking System (ABS) with Brake Assist, Cornering Brake Control (CBC), Dynamic Stability Control (DSC) including M Dynamic Mode (MDM), Electronic vehicle immobiliser, ISOFIX child seat mounting and a Run flat indicator. On safety BMW has covered all bases on the M3. 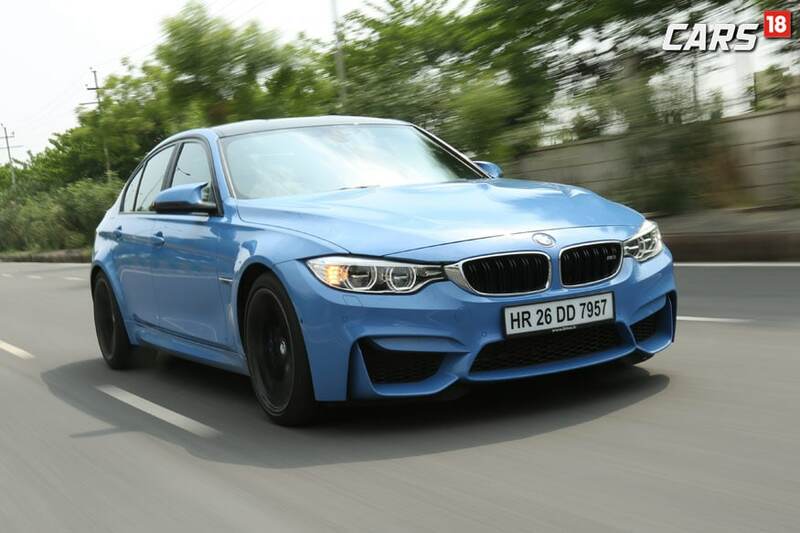 At almost Rs 1.21 crore (ex-showroom), the BMW M3 is almost thrice as expensive as a regular BMW 3-series. It's also a car that has dual-personality. It can be your everyday nimble luxury sedan and also a corner eating race car that promises to deliver on your adrenaline appetite. The BMW M3 is meant for those who believe in practicality over foolishness.